No matter where you live in Australia, the easiest way to start saving money on your yearly energy bills is to shop around for the best deal. If you compare the various plans on offer from your local retailers, you’ll probably be surprised by the difference between their standing offers and the more competitive discounted market rates. To make sure you’re paying the lowest price possible for your electricity and gas, you need to compare your current electricity retailer’s usage rates and daily supply charge with local special offers to find an electricity plan that suit your needs. 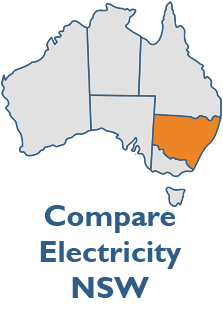 Because each state uses a different electricity distribution network, and has different retailers who supply electricity to homes and businesses, it’s important to compare the rates and plans available in your local region. 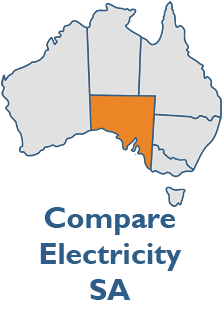 The experts at Electricity Wizard can help you to compare rates and plans from electricity retailers in Queensland, New South Wales, Victoria, and South Australia. If you’re sick of paying too much for your electricity, call the energy experts at Electricity Wizard to see how much you could be saving. Take advantage of our fast and free comparison service to see what deals are available for residential and business users. We’ll help you find the cheapest price from the best electricity companies in your region. You could reduce your annual energy bills by hundreds of dollars. Simply call Electricity Wizard direct on 1300 359 779 or fill out the form below to speak to an expert customer service representative today! How Will Electricity Wizard Save You Money? Electricity Wizard will find the best deal for your electricity and gas. We’ll help you compare companies as well as compare their plans. We constantly monitor the electricity market to find the latest discounted prices and best energy plans. When you speak to one of our specialists, we’ll give you up-to-date advice on which plans are the best for you. We will compare your current electricity company’s daily supply charge, peak and off-peak electricity rates, connection fees, rebates, and other charges with the range of other companies in your area. We’ll find out what discounts you are eligible for to get you the best price on your electricity and gas. If you are looking for a solar-friendly energy provider, or one who offers a choice of green energy options using electricity generated by sustainable or renewable sources, we can let you know who’s the best electricity company for you. We’ll even compare payment methods and a host of other customer service options to make sure you understand the finer points when it comes to the services offered by each electricity company in your state or region. Electricity Wizard will help you compare, switch, and save! 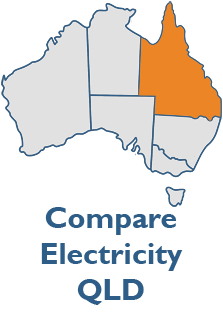 Join the 1 Million Australians who have already taken advantage of our fast and free electricity comparison service to make sure you’re getting the best price available for your electricity. If you’re new to the electricity comparison game, don’t worry. Our trained customer service representatives will walk you step-by-step through the process. We’ll give you details on each of the competitive options available to you so that you can easily choose a more affordable supplier to meet your household needs. Once we’ve found the cheapest price for you, we can even manage the process of switching electricity suppliers to make the whole process as fast and simple as possible. 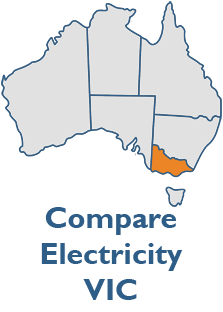 The deregulation of the energy market in New South Wales, Victoria, South Australia, and Queensland has opened up the energy industry to more and more new electricity suppliers. With this increased competition, consumers have the power to demand lower prices. If energy users shop around to get great rates and flexible energy plans, electricity companies will need to work harder and offer more competitive prices to stay in business. Comparing every 12 months to make sure your electricity company is still the best in the market is the simplest way to keep the cost of electricity as low as possible. In order to make sure you’re getting the lowest price and the best customer service options when you switch electricity companies, Electricity Wizard has expert advice on how to compare energy suppliers. We’ll help you to understand your electricity bill so you know exactly what you are paying for each quarter. We’ll explain the difference between a standing offer and market rates, we’ll find out if you can bundle and save, and we’ll let you know which are the best electricity companies for renewable energy. At Electricity Wizard, we do all the hard work for you by helping you to compare electricity rates and prices. When you call us, we’ll compare your current bill with other electricity deals available to you. In less than 5 minutes we’ll give you a list of suppliers and discounted energy prices available in your area, then help you select a great plan to switch and save. We can even take care of the process involved in changing suppliers. We’ll make sure your switch to your new energy company is smooth with no interruptions and no hassles. Best of all, our service is completely free — so what do you have to lose? Try us today! Call Electricity Wizard now on 1300 359 779 or fill out your details below to have one of our comparison specialists help you get a better deal on your energy bills today!